This colors 3 different time zones. It allows for timezones that cross date boundaries and shows overlapping timezones by merging the 2 time zone colors. It also display the name of the timezone or names of overlapping time zones. 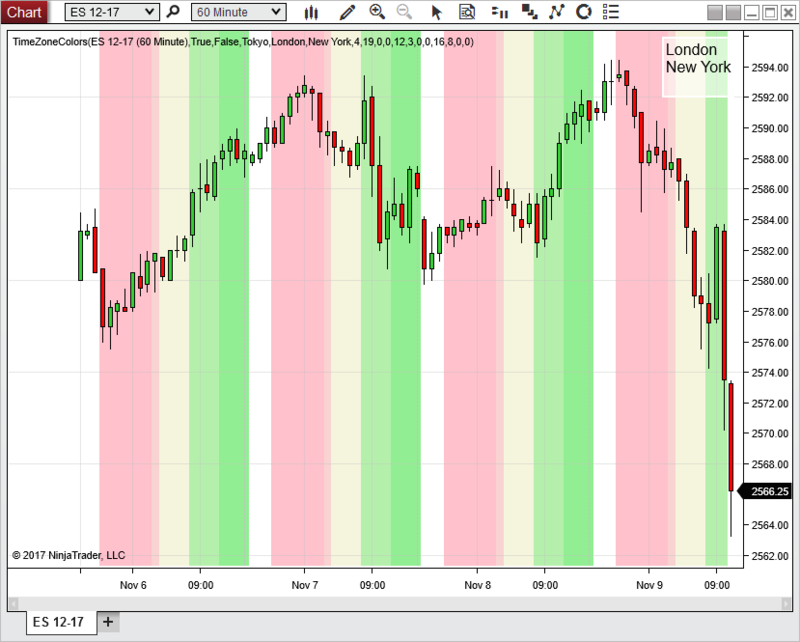 It is an update of the ColoredTimeRegions indicator.